What is the Holdings section in search results? 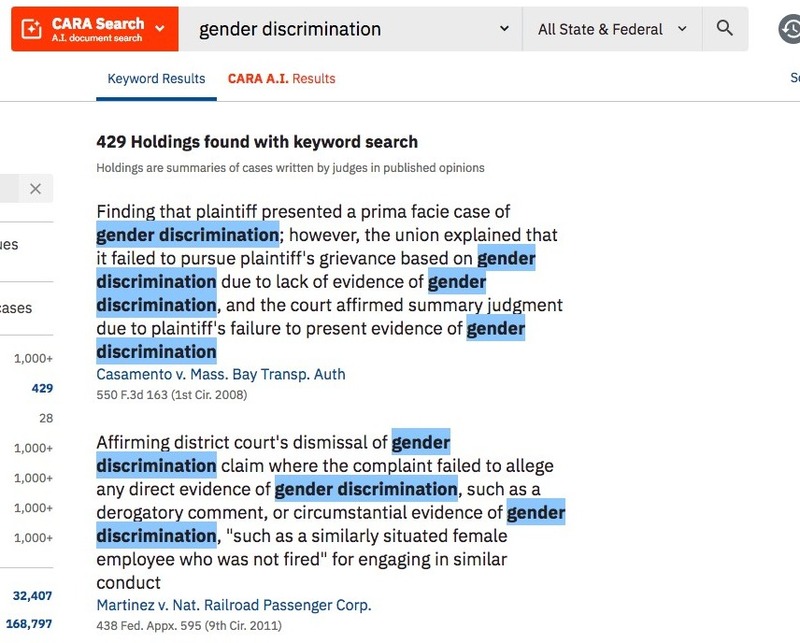 The Holdings section is Casetext’s unique searchable database of judicial summaries, allowing you to limit your search to legal holdings and other critical statements by the court. 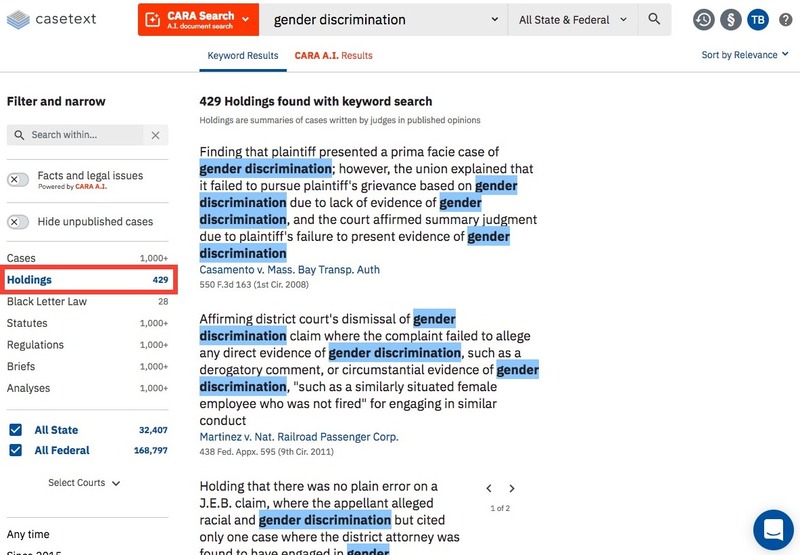 This database of case holdings is accessible via both keyword search and CARA A.I. search, via the menu on the left side of the screen. Text from a later opinion summarizing a case. The text of the holding will match your keyword search. Below please find a short video about Holdings.